MDF buildings, Handmade terrain/scenery, 28 mm Border Reivers & Elizabethan figures, NEW 2018. ECW !!! Some Graven Images figurines, Hoka Hey's Resin Buildings and more to follow shortly. Hoka Hey Wargaming is now the proud owner of Timeline Miniatures and we will continue to offer their range of affordable gaming products and new ones in due course. Together with our own handmade scenery products and figurines in various scales. We design and manufacture our own products in the UK. Please contact us, As we do consider custom work for scenery models - No job is too small. Kindest regards Alan & Ann. Examples of some of our products are listed below !! 2 mm laser cut mdf bases various sizes. 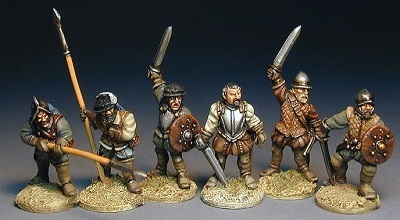 Used for basing wargaming figurines or for craft working.